Moscow is surely beautiful... and rich with rings. These rings are more than just roads and railways; they form the city’s spirit and define the living organism that is Russia’s capital. If you take a bird’s eye view of Moscow you’ll soon notice that Russia’s capital looks like a giant dartboard, with rings of different size spreading from its “bull’s eye” – the Kremlin – like ripples in a pond. Indeed, Moscow is all about rings and knowing what they are about really helps one to navigate the city and understand its soul. But first things first – how come the Russians built this ancient city in concentric circles? Once, the Kremlin was more than just a sight: that fortress actually saved people's lives during many wars. Many Moscow streets that link the rings seem quite chaotic, with their sudden twists and turns. If you don’t have a map, Russia’s capital is rather difficult to navigate compared to New York or St. Petersburg, where streets cross one another at right angles, forming a net of urban corridors. 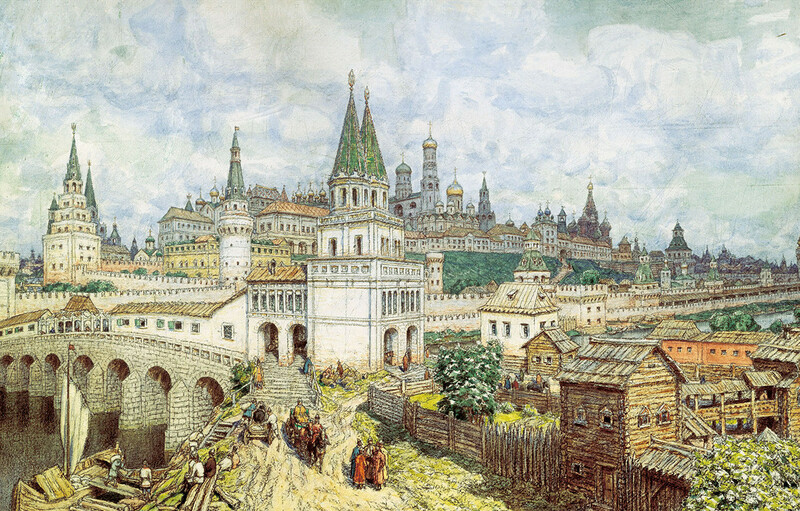 Nevertheless, Moscow has an excuse – while Muscovites were building it in the 14th-16th centuries, they were aware of the threat of the city being putting to the torch by invading Tatars or fellow Russians, rather than about future tourists getting lost. Attacking armies sacked Moscow in 1238, 1382 and 1571, each time burning most of it to the ground. That’s where the rings came from: in the past, they were walls protecting Moscow. Kremlin was the first level of defense, then there were walls surrounding Bely Gorod (White Town), where the nobility lived, erected in 1585-1593. 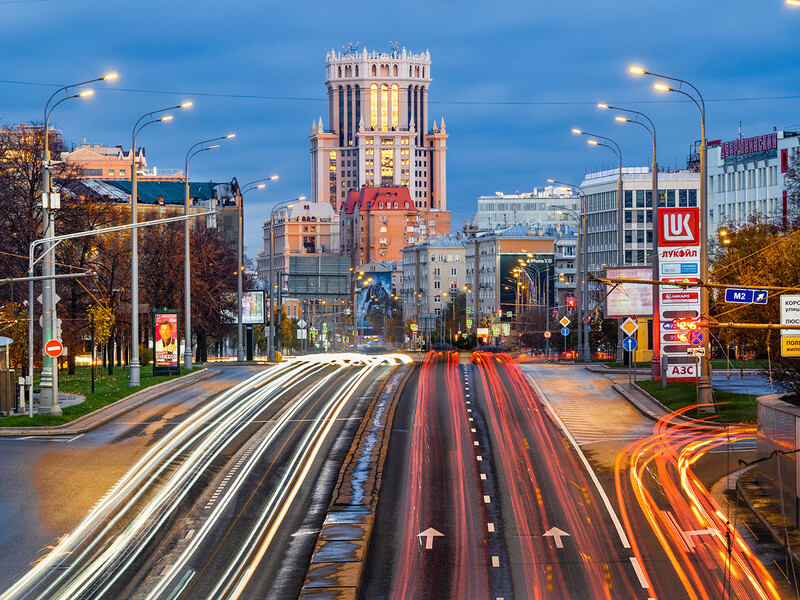 The city grew as the Russian state became more powerful. As increasing numbers of people lived beyond the city walls another defensive wall was built, the so-called Zemlyanoy Gorod (the Ground Town) between 1692-1695. Once vital defensive positions were made redundant as the city grew and the menace of invasion diminished. The authorities tore down crumbling, decrepit fortifications, but the roads that had skirted them remained, forming rings around the city center. Bely Gorod fortress turned into the Boulevard Ring, Zemlyanoy Gorod – into the Garden Ring and that’s how the center of Moscow was formed. As the city continued to grow in all directions, the ring remains the most important element of infrastructure ever since. What are the most important rings of 21st century Moscow? The Boulevard ring is always picturesque, even though the loud city surrounds it. The first ring of Moscow, technically, is not a ring but a half-circle embracing the territory of the old Bely Gorod, which excluded land across the Moscow River. After the fortress walls were demolished, trees were planted along the roads to make the view more picturesque. As for today, going all the way down the “ring” – from the Prechistenskiye Vorota square to the Yauzskiye Vorota square – is quite a long walk (taking around an hour and a half) but it is definitely an enchanting stroll, particularly when the weather is nice. The Garden Ring doesn't have many (or any) gardens but it always is busy. Moscow is complicated: the Boulevard Ring is not a ring but actually has boulevards; the Garden Ring is a ring but there are no gardens here. In Tsarist times, householders were obliged to plant front gardens – but Soviet authorities got rid of them in the 1930s. 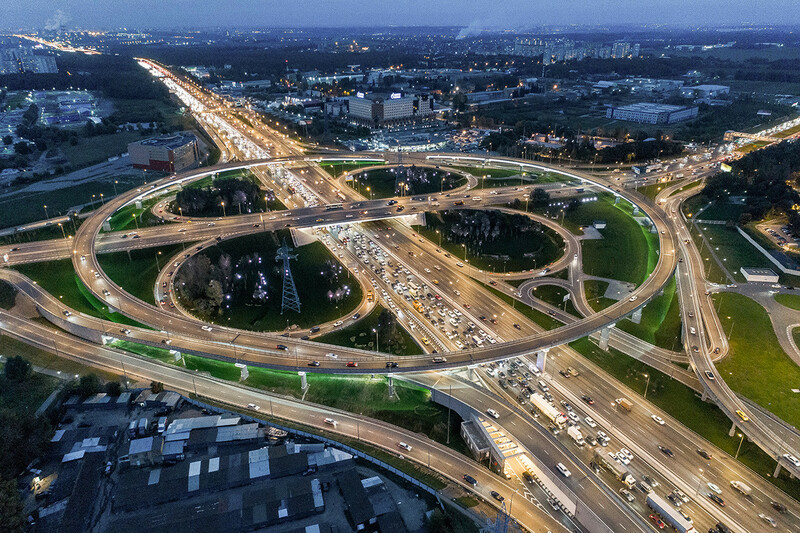 Instead, they widened the carriageway turning the Garden Ring into what it is now: a circle of massive wide avenues around the center of Moscow. Urban legends hold that those who have an apartment inside the Garden Ring are the richest and most successful people in all Russia, the true crème de la crème: they own real estate in the most expensive neighborhoods of the most expensive city in the country. So ironic phrases such as “it’s a problem of people inside the Garden Ring” is a Russian version of “first-world problems”. The MKAD used to border Moscow and lands outside it, so it has to be a really BIG road. Opened in 1962, this circle embraced the entire city of the time within its boundaries. Now Moscow has spread over a much greater area, but the MKAD remains a key transport artery. It’s all but indispensable when you need to get from one city outskirt to another without going through the center. Also, the MKAD is another symbolic circle – jokes usually apply to it as to the “border” between Moscow and Russia, even though the MKAD doesn’t define the city border anymore. Muscovites mock the “mystical land” of Zamkadye (“land outside the MKAD”) as an unknown, uncivilized wilderness and ironically ask: “Is there life outside the MKAD?” The rest of Russia, in return, bashes mean and arrogant Muscovites. The fight is never-ending, but it’s more about stereotypes and humor than any serious conflict. The Moscow Central Circle railway road is quite new in the city but still very useful for many Muscovites. 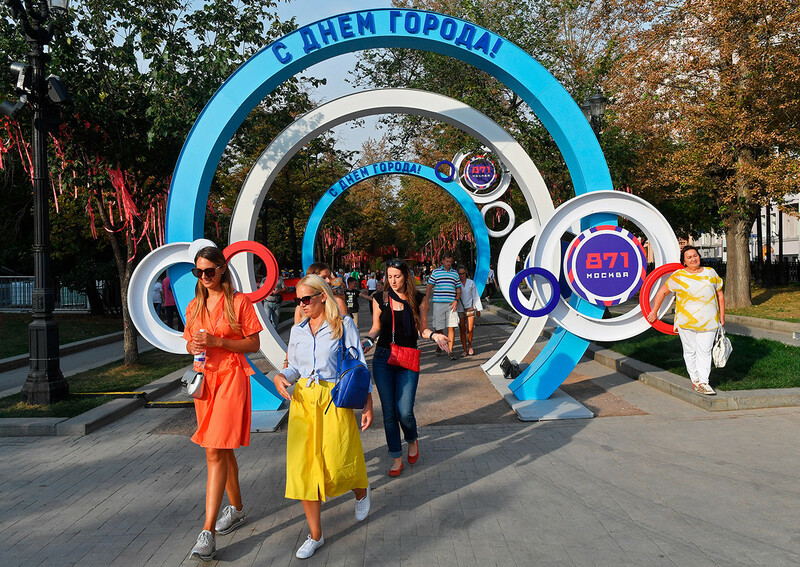 If you thought that Muscovites had limited their love of rings to just three, you’d be wrong. There is also the 35,1 km-long (21.8 mile-long) Third Ring – the youngest of the gyratory highways, completed in 2003. It was a controversial project, fueling debate over the compulsory demolitions and widening of residential streets, opposed by many. Also, an important transport artery is the Circle line (brown) of the Moscow metro, one of the oldest metro lines that links seven of Moscow’s nine railway stations and 10 other metro lines. Each of this line’s 12 stations is truly a pearl of Stalinist architecture: check out our list. 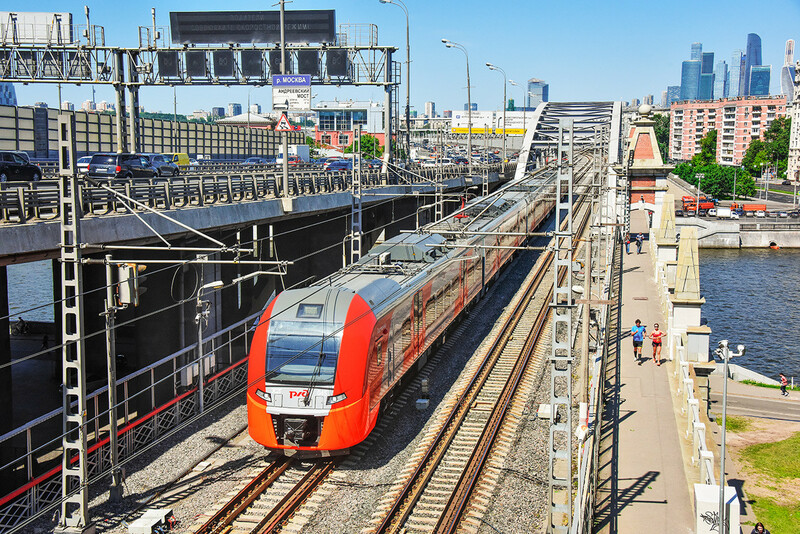 And there are two more rings: the new Moscow Central Circle – a 33.5 mile-long urban railway that opened in 2016 to link the city’s industrial outskirts and a current construction project - the Large Circle Line of metro - due to be completed by 2022. It seems that Moscow, much like Sauron from J.R.R. Tolkien’s trilogy, just can’t get enough of rings. 50 things you must do in Moscow: Our randomized guide!